PROBLEM: Stress is recognized as a major factor in illness and disease, often settling into muscle tissue just below our skin. Sometimes it’s hard to “de-stress,” and tactics like massage and vacations can be expensive and time-consuming. SOLUTION: Help melt away worries, anxiety and stress quickly and inexpensively with our Timeless Relaxation Rescue Gel. Just roll it across tension points such as temples, neck and shoulders for a soothing, relaxing “getaway” moment that will leave you refreshed and recharged. It’s also perfect for any “tired and achy” areas that may need special attention. The unique roller-ball application supplies a synergistic blend of natural and organic botanicals that work together to provide a mindrelaxing formula with a tingling sensation that melts away stress, tension and tightness. The Timeless Relaxation Rescue Gel is formulated with plant-based ingredients cultivated through organic farming. 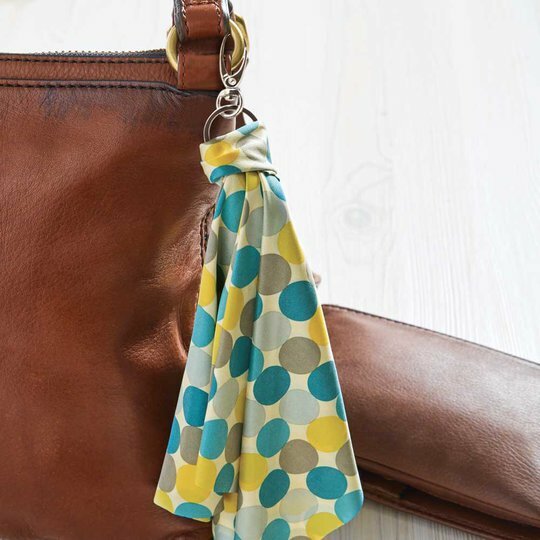 It comes in a convenient, travel-sized package that’s easy to use and easy to store in your purse, desk or car. 40 ml / 1.35 fl. oz. • 99.78% of the total ingredients are from natural origin. • Natural botanicals include Chamomile, Menthol, Camphor, Devil’s Claw and Arnica Montana extract. • 95.38% of the vegetal ingredients are from organic farming. • Organic ingredients like Aloe Vera, Extra Virgin Olive Oil, Sage and Rosemary quickly absorb into the skin. • Aromatic, tingling sensation both warms and cools to dissolve tension. • Provides immediate and long-lasting relief from daily stressors. • Combines aromatherapy with skin tingling sensation to melt away stress and tension. • Manufacturing standards ensure that ingredients are compatible with our bodies and with the natural world. • Manufacturing processes ensure environmental sustainability. • Slowly wave the roller ball bottle under your nose, inhaling the cool, crisp, aromatic botanicals, Camphor and Menthol. Then roll the gel across your temples, neck and shoulders to help clear the mind of worries, anxiety and stress. • Try it on other tension points also, like knees, wrists, elbows and feet. To get the sensation of a massage, use firmer pressure when applying. The Marine Organics line was discontinued in 2015. Utilizing the benefits of organic marine algae and sea plants, the Norwex Marine Organics line was engineered to rejuvenate the appearance of the skin. With ECOCERT organic certification, this luxurious line helps reduce the signs of aging while providing refreshing and radiant results. Simple, effective and eco-cert certified organic, these products are now enhanced with unique marine algae to help improve skin elasticity and tone while brightening the skin’s appearance for a radiant finish. Experience these incredible skin benefits for the entire body with the Organics body lotion and shower gel. Naturally derived, gentle cleansing ingredients provide a thorough cleansing. Norwex cares about a healthy environment, and the personal well-being of our consumers. Our products contain organic, not synthetic, ingredients that are purer, safe for the environment, and gentle on your skin. We choose ingredients that promote a better quality of life, and reduce the damaging effects of toxins. We offer innovative products with ECOCERT® certified organic ingredients to revolutionize skin care. ECOCERT® is considered the most important organization in Europe for setting the standards for natural and organic cosmetics for consumers. We are proud to be one of the first companies in Canada marketing organic personal care ECOCERT® certified products! What does it mean that your personal care line is ECOCERT® Organic? Mineral oil and silicon; Synthetic emulsifiers like PEG (polyethylene glycol); Viscosity controlling agents like Carbomer; Preservatives such as formaldehyde releasers, parabens, or phenoxyethanol; Synthetic perfumes; Synthetic dyes; and Synthetic solvents like propylene glycol. 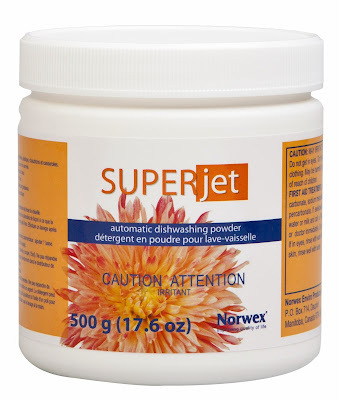 Use the Norwex Super Jet Dishwasher Detergent for dishes, glassware, cutlery, plasticware, pots and pans. Remove large food particles from dishes and rinse. Place dishes and utensils in dishwasher, being sure that soiled surfaces face water spray. Place one tablespoon directly in dispenser. Start normal operation. *** If dishes are spotty, you are using too much soap. You may only need to use 1/2 - 1 tsp if you have a Magnet Ball. Tip: Clean the inside of a thermos or coffee butler by adding 1 teaspoon of Super Jet and fill with hot water. Let stand for a few minutes then rinse thoroughly. NOTE: NOT for use in dish washers with stainless steel interiors! Super Jet Dishwasher Detergent may create a chemical reaction with certain water types. This will cause the interior of your stainless steel dishwasher to have dark spots. Not recommended for hand dishwashing. This product is discontinued as of January 2019. In the last 50 years, the global production and use of manufactured chemicals has increased substantially. More than 80,000 new chemicals have been created! Many chemicals that people are exposed to every day have never been assessed for their impact on human health. Bleach (Chlorine as sodium hypochlorite) is so highly reactive, that it pretty much instantly reacts with substances that it comes into contact with. That is why it is so effective as killing absolutely everything! Save Money - reduce the use of chemicals, sponges, and paper towels up to 90%! Better Health - you don't breathe, touch or ingest chemicals. Dirt and dust are removed instead of being spread around. Removes 99% of bacteria from surfaces. Great benefit to those with allergies and asthma. Better Environment - you will be doing your part to preserve the environment for our children and our future by not using or at least by reducing the amount of chemicals used. Easy Maintenance - hand wash or launder with other lint-free items using detergents without bleach additives. Do not use bleach, fabric softener or dryer sheets on microfiber. Start spreading the work about Norwex - Reuse the catalogue by passing the information to your friends, family, neighbors and co-workers. Together we can all help make a difference. Host a Norwex event - a great way to educate your circle of friends while earning yourself FREE products. I can host in person classes, online parties, and we can cover general Norwex information or focus on specific aspects of Creating Healthier Homes. 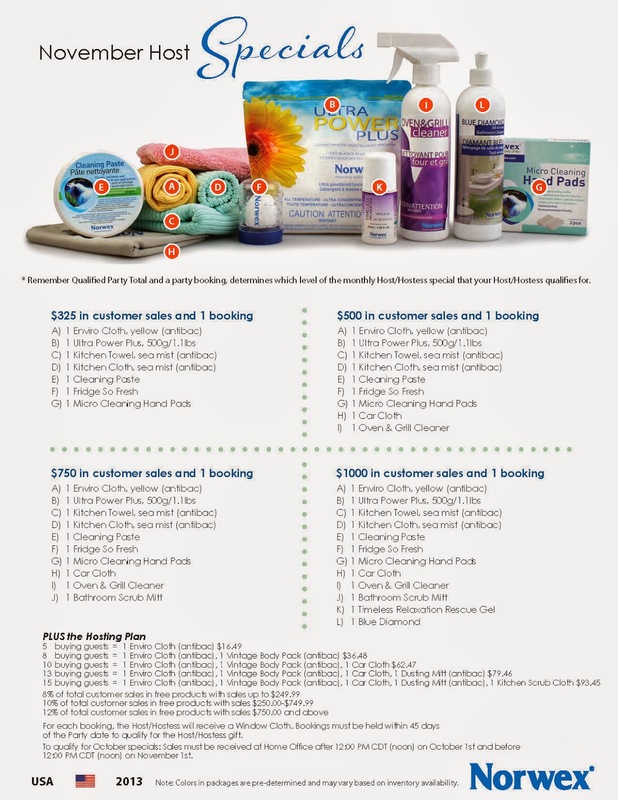 The average hostess will earn at least $200 in FREE products. Your friends will be thankful you introduced them to Norwex! Join my team! Become a Norwex Independent Sales Consultant - get paid to talk about Norwex and help improve our environment and quality of life. Be your own boss, set your own hours and work at your own pace. There is an opportunity for each of us. I would love to show you how you can have a profitable and rewarding home-business with Norwex. Together we'll create a legacy ... to leave the planet better than we entered it! Thank you, Brigitte Johnson, for this info! Veggie & Fruit Scrub Cloth for...eggs? We buy our eggs fresh from local farms. This means they are not washed when we purchase them, and need to be washed before using the eggs. 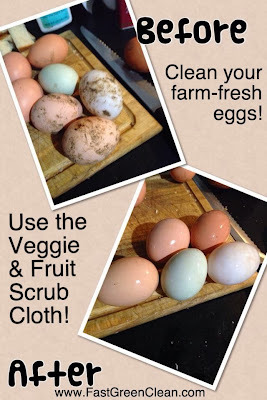 The Norwex Veggie and Fruit Scrub Cloth is AMAZING for washing off the dirt from the eggs! Just a gentle scrub with the scrubby side and they are completely clean - it's incredible! If you have the opportunity to purchase farm-fresh eggs, they are, in my opinion, far superior to what you can buy in the store. Having the Veggie and Fruit Scrub Cloth on hand makes it that much easier! The Norwex Veggie and Fruit Scrub Cloth is great on farm-fresh eggs! And here is a photo from one of my customers, who raises chickens for eggs! 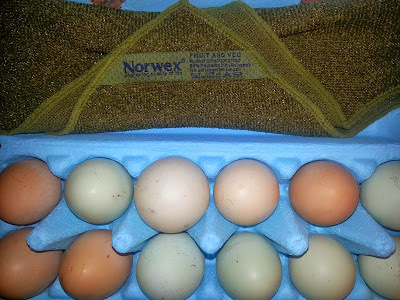 Norwex Veggie & Fruit Scrub Cloth works awesome to clean farm-fresh eggs! PROBLEM: Tired of using two cloths to do one job, or using a toothbrush to get into crevices to clean? SOLUTION: The Scrubby Corner Cloth gives you two functions in one towel: a soft, self-purifying cloth for dusting and cleaning, and a special “scrubby” corner pocket for when you need a little extra boost of cleaning power. surfaces like stove tops, pots, pans and counter tops. When used dry, Norwex Microfibers produce an electrostatic charge that attracts even the smallest particles of dirt, grease and moisture. When wet, these particles are lifted and held inside the cloth. The micro-silver embedded in the microfibers then goes to work with self-purification properties. Microfiber self-purifies within 24 hours when used wet. 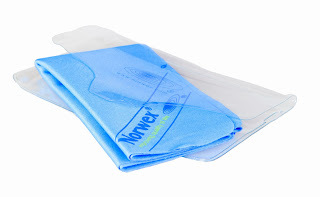 Norwex Microfiber uses capillary action to pull dirt and grease up into the fibers and away from the surface. Two features in one cloth saves time. Scrubby corner pocket protects your fingers and makes scrubbing easier. Scrubbing pocket is safe for most hard surfaces. Cleans effectively with just water. Lint-free towels and cloths help provide friendlier environment for allergy-sensitive individuals. 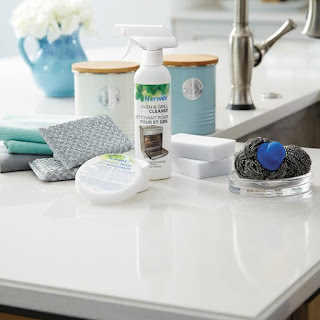 Use wet or dry to clean and dry kitchen surfaces. Use scrubby corner on especially tough dirt. Machine washable; avoid bleach and fabric softeners. Use the Norwex Spray Bottle for exact dilution! It is convenient and compact, and can be used for spraying water on windows, floors, walls, and all surfaces to be cleaned. Why not replace the aerosols and plug-ins with a better solution? 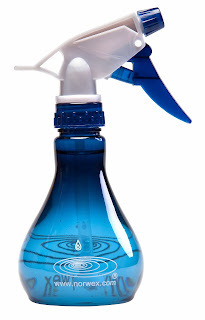 The Spray Bottle is ideal for use with our microfiber cloths, Mop Systems and more. Constructed of HDPE which is strong and long-lasting, its convenient shape fits comfortably in adult hands. Use with the Norwex mops to spray more water if necessary when mopping. Use with Odour Eliminator as an air freshener: For best results, always spray diluted. 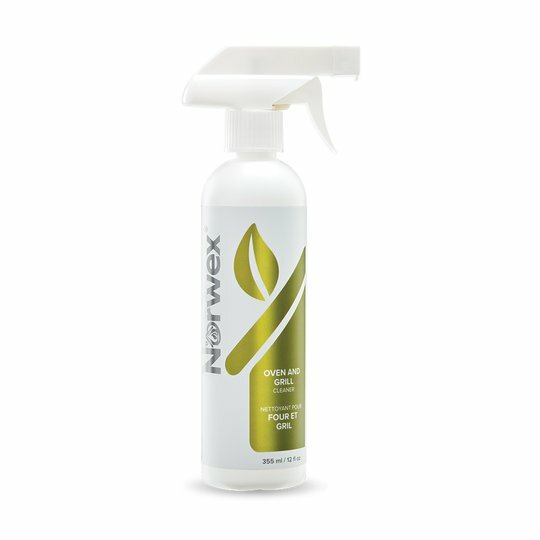 Mix 1 part product to 7 parts water (2 Tbsp/cup or Norwex bottle) and spray using Norwex Spray Bottle where malodours exist. Direct a light mist toward the ceiling allowing it to completely refresh the area. 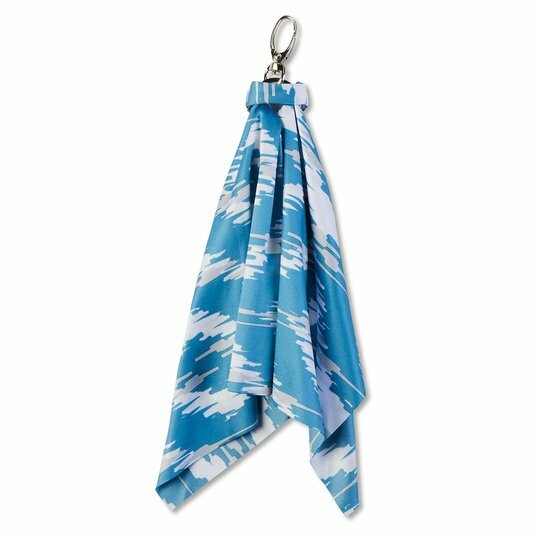 • Fill a Spray Bottle with water for use with the Norwex Mop System. Simply re-wet the Tile or Wet Mop Pads whenever necessary as you clean. Reduce even more plastic in your home with our new Aluminum Spray Bottle! Great for all kinds of cleaning jobs with water only, or add a few drops of our Essential Oils to freshen your home while you clean! Silver: 250 ml / 8.45 oz. Help your family breathe easier by reducing the use of harmful chemicals from aerosols and other scented household products. 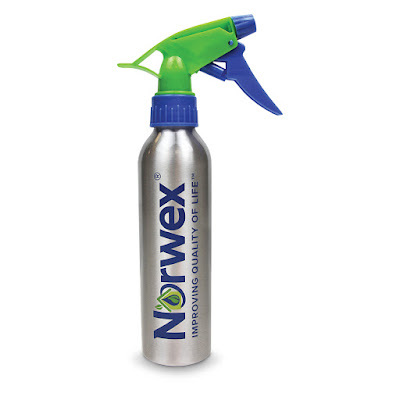 Spray Bottles are perfect for cleaning with our Norwex Microfiber and water only! They are also great for diluting concentrated, enzyme-based products like our Odour Eliminator. The Norwex Aluminum Spray Bottle is perfect for diluting Norwex Essential Oils to impart a light, fresh scent in your home. Made with less plastic, our Aluminum Spray Bottle is a more sustainable option. Refresh was especially developed to combat unpleasant odors in everyday situations and to neutralize unpleasant smells. In developing this product, amylase was selected for its ability to break down the bacteria, fats and proteins that give rise to this kind of problem. Once sprayed, the enzymes will neutralize the undesirable material causing the offensive odors, not just mask the odor with perfumes. All products are 100% all natural ingredients based on natural born microorganisms/enzymes – found everywhere in nature –and thus have little consequence for humans, animals and nature. Our lemon extract is especially great to eliminate the odor from burnt food. Directions: Spray 2-3 times in the air for an average size room. If the mist contacts a hard floor surface, wipe the surface clean with a dry cloth to avoid slip hazard. Warning: Keep out of reach of children. Store away from high heat. May irritate eyes and skin. Cleanse skin thoroughly after contact. If product comes in contact with eyes rinse thoroughly with water for 15 minutes. If ingested drink two glasses of water to dilute material. 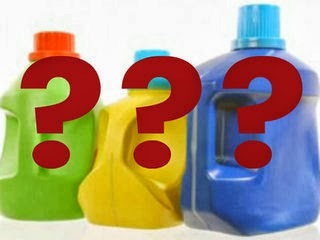 These laundry detergents all contain 1,4 dioxane (a synthetic oil-based carcinogen) as a filler. Fillers are chemicals added to laundry detergent to be used as a binding agent for water and add bulk to the box or bottle of detergent, therefore making you THINK you are getting a better deal at the grocery store. Fillers can account for up to 45% of your laundry detergent. BIGGER IS NOT ALWAYS BETTER! Fillers are ground down into a very fine sand-like consistency. They get stuck in your clothes and “grind” together (with washing and wear) therefore lessening the life of your clothes and making them look faded. After just 10 washes, clothes, towels and blankets gain 2% of their weight in detergent residue (fillers and chemicals) and are constantly being absorbed by the skin. Fill a clear glass with water. Let it sit, undisturbed, for at least 15 minutes. 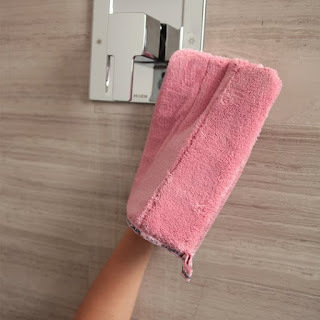 The Norwex Bathroom Scrub Mitt is a lifesaver in the bathroom! It is made of Antibac Microfiber fabric on one side and scrub mesh on the other. Extra long fibers and thick, absorbent construction deliver superior results. Microfiber scrubbing mesh removes stubborn dirt & grime and can be used with the Cleaning Paste, Descaler, Blue Diamond, or alone. A sponge liner adds extra absorbency. 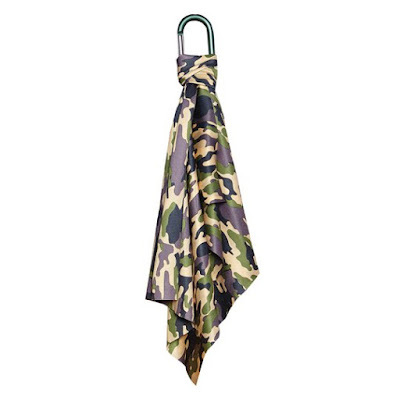 Handy hang loop provides convenient drying and storage. Microfiber on one side and scrub mesh on the other combine to easily remove stubborn dirt and grime. Microfiber on one side and scrub mesh on the other. This two-in-one mitt easily removes the most resistant dirt and grime. Sponge liner adds extra absorbency. 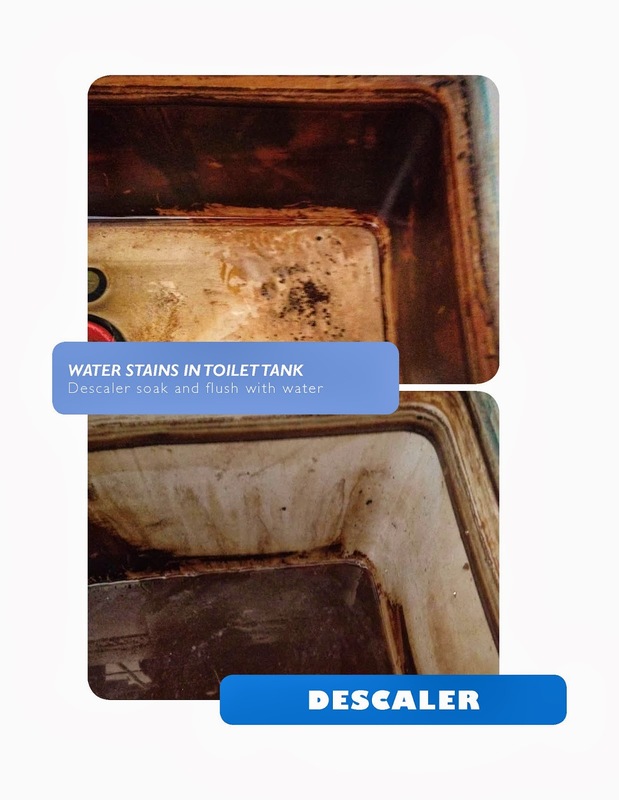 23 cm x 17 cm / 9.06" x 6.5"
Soap scum, mineral stains and grime can build up on your bathroom tub, tile and glass, leaving them unsightly and preventing your bathroom from looking its sparkling best. Using chemicals to get your bathroom “clean” is not only harmful to the environment, it can also impact your health and it’s hard on your budget. Our heavy-duty Bathroom Scrub Mitt quickly removes stubborn dirt and grime on tiles, sinks, tubs, showers and more—without harsh chemicals that can find their way into waterways. You’ll have a sparkling clean bathroom you can feel good about, knowing that no harmful chemicals will impact the environment, your family’s health or your budget! Simply wet to wash and scrub all surfaces. Use both sides: the rough mesh side for scrubbing and the soft microfiber side for wiping. Cloths that have been used heavily should be laundered using a Norwex laundry detergent, which contains no fillers, after each use. Do not use bleach, fabric softeners or dryer sheets. Unique design provides one side for scrubbing and one side for wiping. Thick, plush microfiber quickly wipes surface areas clean, drawing particles of dirt and grime up into the cloth rather than spreading them around on the surface, like with traditional sponges; surfaces stay cleaner, longer, so you won’t have to clean as often. 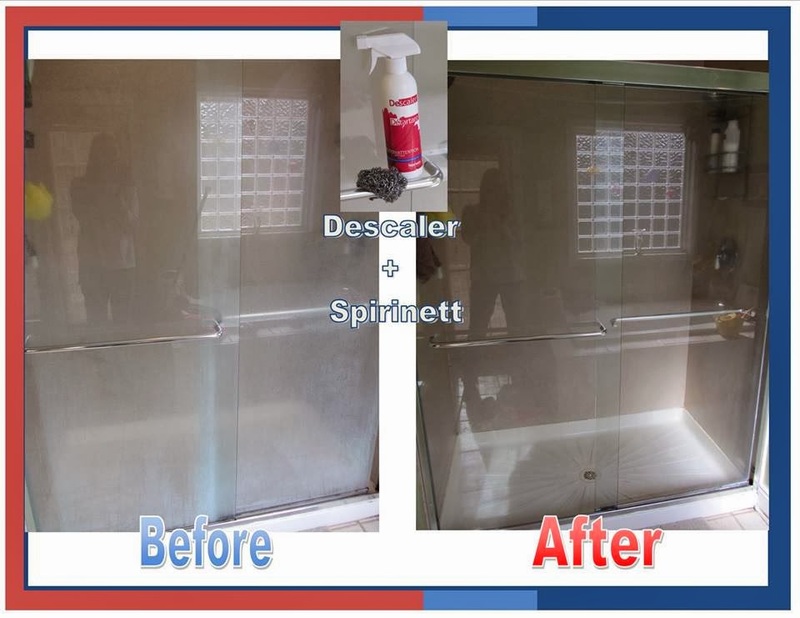 Scrubbing mesh tackles stubborn soap scum buildup without scratching. Kids enjoy using the Bathroom Scrub Mitt, too. The fun design and lush fibers make cleaning without chemicals fun! The Bathroom Scrub Mitt works great on stained grout around toilets. 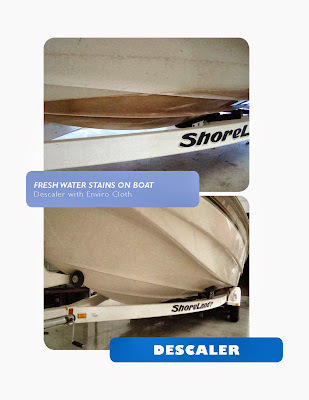 Norwex Descaler is a highly-effective and environmentally-friendly product for heavy-duty cleaning and removal of calcium, lime and rust stains. Most descalers are dangerous chemical acids that can burn surfaces and damage the environment while they try to break down mineral stains. 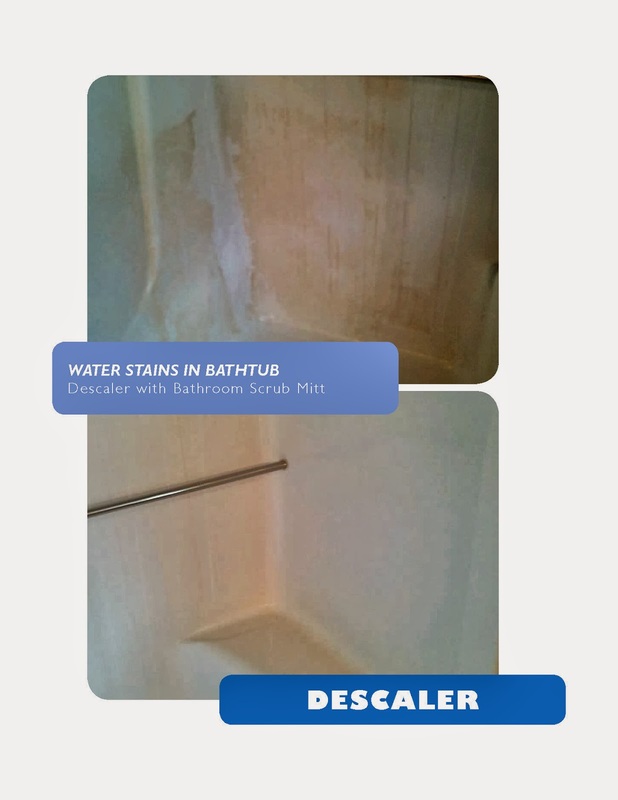 Use the Norwex Descaler for removing soap scum, lime/scale, calcium, and rust stains from shower doors, shower curtains, shower stalls, bathtubs, etc. If used regularly lime build-up can be avoided. Removes stains around taps and drains. consistently dripped on a surface. evaporated leaving minerals to stain the surface. WARNING: Do not use on granite, marble or unsealed grouted areas as the natural acids may damage the surface. Always test on an inconspicuous place before using. Spray the liquid on the surface, and let it work for 5-10 minutes. 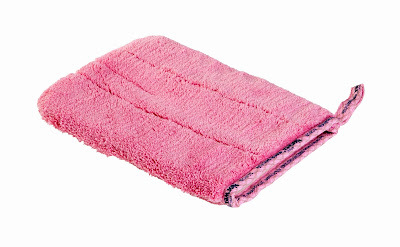 Wash off with a moist Norwex microfiber cloth, before surface dries. For heavier stains repeat the process. When used regularly, it will prevent build-up of mineral stains. 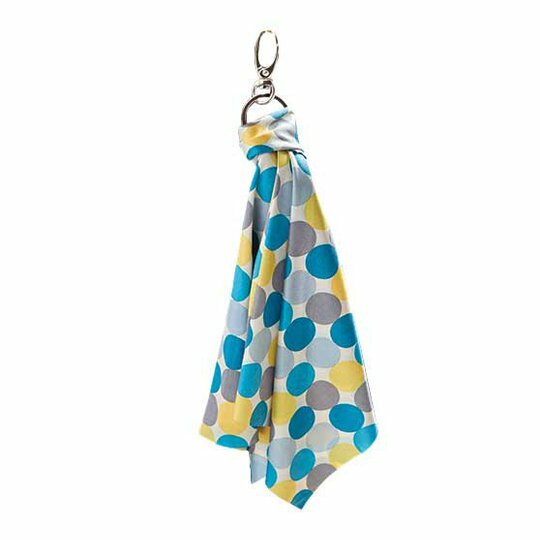 Pair the Norwex Descaler with the Norwex Enviro Cloth, Norwex Bathroom Scrub Mitt, Norwex Kitchen Scrub Cloth, or Norwex Spirisponge. Thank you Erin Russello Aten for the photo! Oh, check out these specials for November! 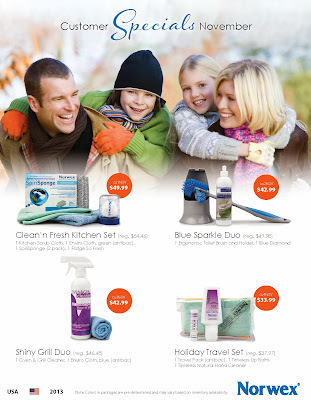 These amazing Norwex specials are only good during the month of November! Contact me today to take advantage of these deals. I have a special offer for the first four demonstrations booked with me during November. If you want to hold an in-home Creating a Cleaner Home demo in the Triad area of NC, or an online Creating a Cleaner Home class, it doesn't matter - you'll get product in your hand immediately! Email me blange17@gmail.com to secure your date or fill out the contact form here http://www.norwex.biz/pws/rebeccalange/tabs/contact.aspx and I'll be in touch ASAP. The Norwex Optic Cloth is a pocket-sized microfiber cloth specially designed for removing greasy fingerprints, oil, dust and dirt, lint and grime from eyeglasses & more. This compact, colorful and ultra-soft Optic Cloth wipes off fingerprints, oil, dust, dirt and grime from eyeglasses; computer, mobile phone and tablet screens, and so much more, without scratching or damaging delicate surfaces. The tight weave minimizes the cloth’s ability to hold dust that could scratch. 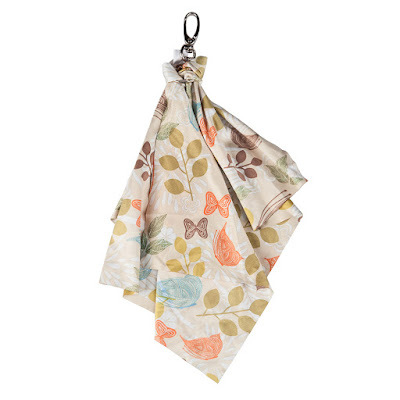 Folds flat and fits into your pocket easily, so it’s handy on the go! 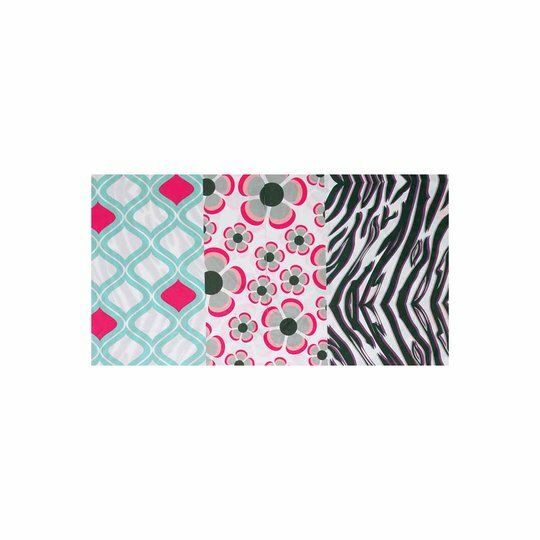 The Norwex Optic Scarf is a beautiful fashion accessory that doubles as your sunglass/eyeglass cleaner and cell phone buffer. The Optic Scarf is made from an extremely soft microfiber and removes fingerprints, oil, dust, dirt, lint and grime from eyeglasses, electronic devices and even jewelry. It stores stylishly and conveniently on the outside of your purse or bag, and it’s the perfect carry-along size. 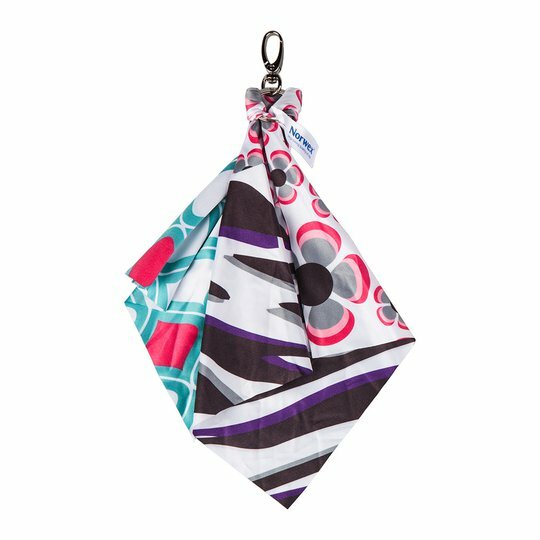 The Norwex Optic Scarf is soft and easy to use, compact and portable, and clips anywhere. 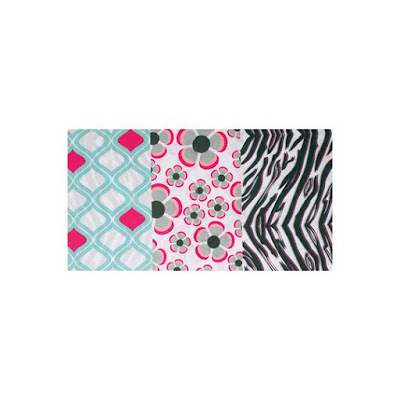 The static- and lint-free microfiber is available in a variety of fashionable, on-trend prints to complement every style. It CAN be used on anti-glare surfaces such as phone covers, iPad covers, etc. The Norwex Optic Scarf is an easy alternative to sprays and wipes, polishes to a sparkling finish, and the cloth never wears out. It will not damage lenses, removes fingerprints and smudges, and provides chemical-free cleaning. 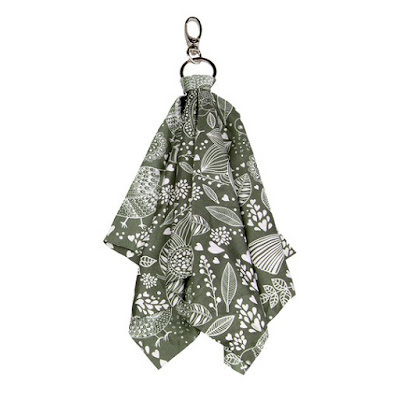 Attach it to a purse, backpack or luggage. To use, simply rub dry cloth on surface until clean. Remove the scarf from the ring before washing, and machine or hand wash in cold water. Lay flat to dry. Do not use fabric softener when washing. For tough grime, dampen the surface slightly and then use dry cloth to clean. • Baggage mixups are one of the most common reasons that luggage is lost at the airport. Make sure your luggage stands out—an Optic Scarf is a great luggage identifier when “everything looks the same” at the airport. It’s even great for kids and teens, and clips conveniently to backpacks. • According to a major manufacturer of personal tablets, it’s best to use a lint-free, microfiber cloth for cleaning the interface screen. What could be better than Norwex Microfiber for all your cleaning needs? 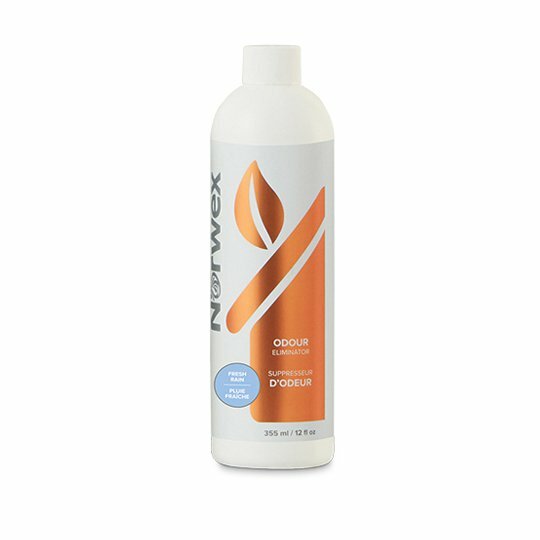 The Norwex Oven and Grill Cleaner is formulated for cleaning the toughest oven and grill grime. Enzymes dissolve burned-on and baked-on food, spills, and stubborn greasy soils so they can be easily wiped away or rinsed clean. The Norwex Oven and Grill Cleaner is a water-based and non-caustic cleaner. It is bio-based, all-natural and biodegradable. 350 ml / 11.8 fl. oz. Preheat oven to 38° C/100°F and turn off before applying product. 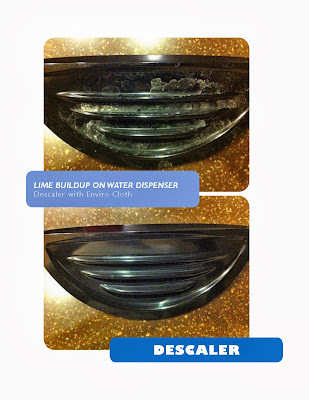 Apply Norwex Oven & Grill Cleaner. Close oven door and allow to work for 5 minutes. *Do Not Use self-cleaning option on oven! Wipe clean with a damp cloth or sponge. Stubborn deposits may require additional application. After cleaning, heat oven to 95° C/200° F for 10 minutes before using. * Do not use on wood, painted or other delicate surfaces. Remove the cooking racks from grill and place on layers of newspaper. Spray product and lightly scrub cooking rack with a stiff brush. Allow product to work for 5 minutes and wipe rack with a damp cloth or sponge. Rinse well with water and allow to air dry. Repeat if needed. Allow an extra 5 minutes of heating time the next time you grill to make sure any cleaning residue has burned off. Cleaning the oven or grill is simple with this cleaner. The self-scouring action means less scrubbing while you clean ovens & grills. It is a safe & natural way to clean ovens & grills, and is formulated for the absolute toughest kitchen oven and grill jobs. The Norwex Oven and Grill Cleaner dissolves the heaviest burned-on deposits so they can be wiped or rinsed clean. It is an effective remover of baked-on fats, oils, greases, proteins and carbohydrate residues of animal and vegetable origin. 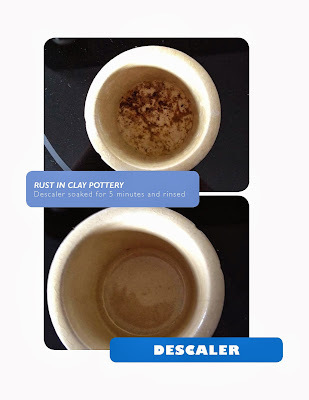 The Oven & Grill Care Cleaner really does work in 5 minutes, or less, without caustics or acids. We do use a very aggressive, but safe, microbe/enzyme system. We have formulated the latest developments with microbes and enzymes to allow them to work much quicker than conventionally-based microbe and enzyme-based products. Additionally, we suggest the cleaning surface be pre-heated to energize the microbes and enzymes to work quicker. Saves money – cost is only a fraction of most ready-to-use products. Shelf-life of the oven cleaner is 2 years. Although very concentrated, the product cannot be diluted. It does mix with water very well, but it loses its cleaning efficacy quickly when diluted. 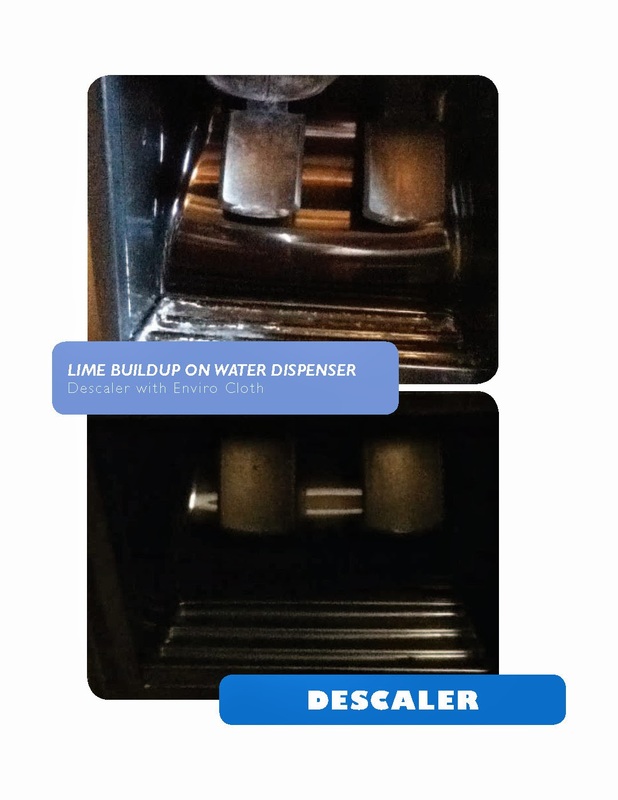 Oven & Grill Cleaner is a pH 9, creating an alkaline solution. A pH of 7 is neutral. A pH less than 7 is acidic. Above 7 is base/alkaline. pH scale is logarithmic and as a result, each whole pH value below 7 is ten times more acidic than the next higher value. Commercial oven cleaners are typically pH 13 - concentrates for enzyme formulations need to be around pH 13 to cut grease and carbon. Carbon typically requires a high pH product and heat to cut attachment to metal. Amylases are used to remove residues of starchy foods such as mashed potatoes, spaghetti, oatmeal porridge, custards, gravies and chocolate. Bacillus subtilus – the use of different strains of enzymes is because each digests different materials. They also have different tolerances towards, heat/cold, pH and the presence of oxygen. This fact ensures that the products are efficient even under extreme conditions. Bacillus subtilis (for protein), amylase (for carbohydrate), lipase (for grease), cellulose (for cellulose), usease (for urea) so it is vital in the product with a VERY GOOD ability to digest. Protease removes proteins – egg, meats, cheese, etc. Polyoxyethyelene lauryl ether is a hazardous product, although its concentration is quite low. Tox. data states it is irritating to eyes, skin, and respiratory system. Of course, this is concentration dependant and not likely an issue, but may be for some who are sensitive. It is a non-ionic surfactant. Foaming agent and detergent often used in pharmaceuticals and cosmetics. 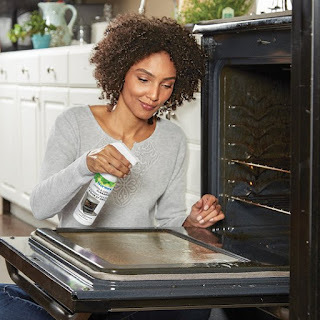 The basic ingredient in traditional oven cleaners is lye (either sodium hydroxide or potassium hydroxide), which melts baked-on carbon and food deposits. It is known to be corrosive and can burn skin and eyes. Instead, Oven & Grill Cleaner uses microbes and enzymes to break down baked-on carbon and food deposits. Have you tried the Norwex Silver Care Toothbrush? It is great knowing that your toothbrush is sanitizing itself as it dries during this germ-y time of year, without the use of chemicals. The replaceable heads make it an economical product. On contact with water, the 99.9% Pure Silver Plated Head releases active silver ions that produce a natural and continuous antibacterial process. The unique, replaceable Silver Care Plus Head snaps in and out. The plastic handle is reusable and the head refill can be replaced. Wet bristles, apply small amount of toothpaste or gel and brush teeth thoroughly. When finished, rinse the brush and leave it to dry. When you rinse the Silver Care toothbrush after each use, the silver covering the head starts a natural self-sanitizing process to prevent the growth of bacteria. When the bristles are dry, the brush is sanitized. It is recommended to change the head every six months. The Adult-sized Silver Care Toothbrush is recommended for ages 3 and up. Did you know? According to research, the most common bacteria found on toothbrushes are the same ones that cause plaque, cavities, gingivitis and bad breath. Use a Norwex Silver Care Toothbrush with a silver-covered base for natural and continuous antibacterial properties. As the bristles dry, the brush is sanitized! 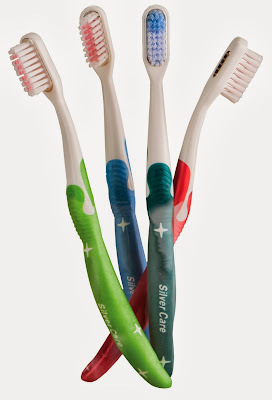 Norwex recently added Kid-Sized Silver Care Toothbrushes as well! 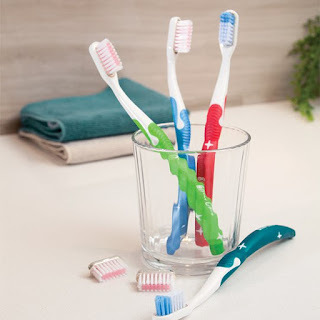 Research has shown that the most common bacteria found on toothbrushes are the same ones that cause plaque, cavities and gingivitis, things to which children can be especially prone. 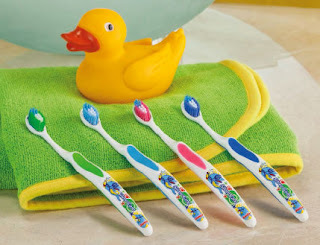 Help children begin good oral hygiene practices early, using a Norwex antibacterial Kids Silver Care Toothbrush. Recommended for kids ages 2 and up, the Silver Care Toothbrush encourages good oral hygiene for kids in their various growing phases. The Silver Care antibacterial toothbrush reduces plaque level. On contact with water, the 999 pure silver covering the toothbrush’s head releases active ions that eliminate 99.9% of the bacteria commonly found on toothbrushes. And with its easy-to-grip handle, kid-friendly design and eye-catching colors, children love using it. The Kids Silver Care Toothbrush has a silver-infused bristle base and soft bristles, and is perfectly sized for small mouths. It is available in 4 different colors, and includes brush cover to prevent filaments from coming into contact with dust or with other brushes. Has antibacterial properties that interrupt the survival of bacteria, viruses and fungi. Helps reduce bacteria by self-sanitizing within hours. Compact head facilitates access to pre-molars. Soft, flexible bristles clean small teeth gently and effectively. Gently curved handle with non-slip grip helps kids learn to hold a toothbrush correctly. Kid-friendly design and colors make brushing their teeth something children look forward to. Wet the toothbrush, which immediately starts the antibacterial action. Then apply a small amount of toothpaste or gel and brush teeth thoroughly. Rinse the Silver Care toothbrush after each use. Dentists recommend replacing toothbrushes every three months, or as the bristles wear. Comparative tests between Silver Care and traditional toothbrushes show reduction level of Streptococcus mutans, the principal cavity-forming bacteria. The Norwex Silver Care Toothbrush was even featured in People Magazine! Check it out! Celeb-dentist Dr. Arthur Glosman identifies the Norwex Silver Care Toothbrush as one of his faves in the article! Don't let the price scare you - the adult toothbrush comes with two heads, which should last you a full year. Since these toothbrushes self-sanitize themselves, you don't have to worry about tossing it if you get strep, the flu, etc. It's like a brand-new toothbrush every time you brush. The Kids Brushes do not have the replaceable head (since it is a choking hazard) but are less expensive and work just the same! Why are only the medium toothbrush bristles made of microfiber? When microfiber is added to the bristles the bristles are medium. 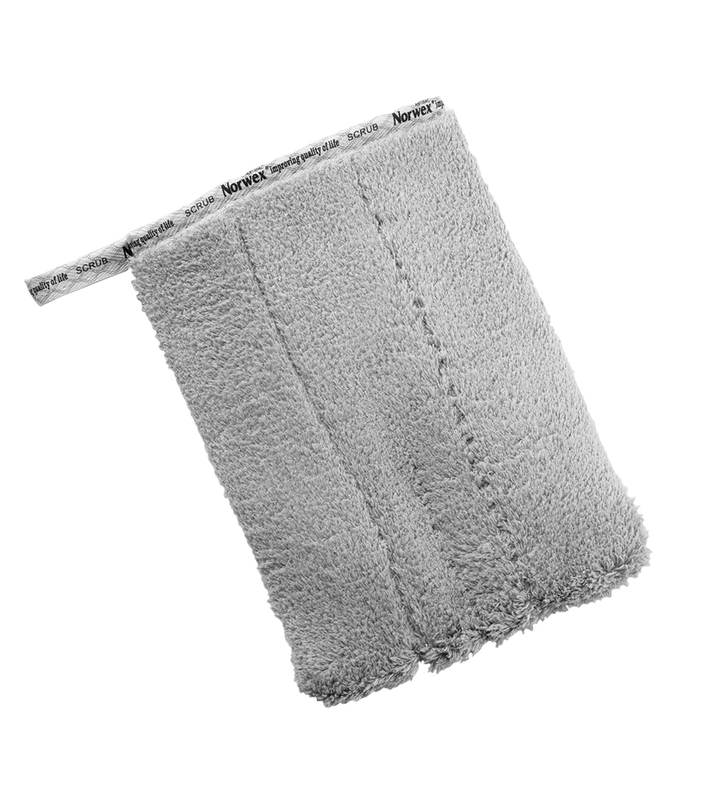 Because of this the soft bristles are made of Tynex which has similar qualities to microfiber. Are the bristles of the Silver Care Toothbrushes antibacterial? 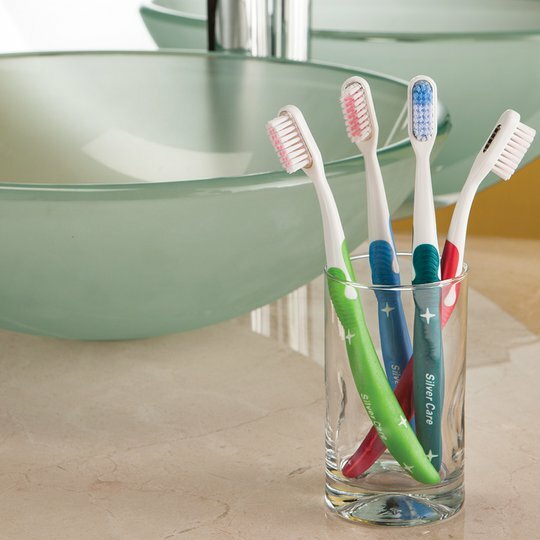 The Silver Care Toothbrushes' bristles remove the plaque and are not antibacterial. The base of the toothbrush which is silver may eliminate bacteria growth and build-up. Do I need to use toothpaste with the Silver Care Toothbrushes? The scrubbing motion removes plaque from your teeth. Using toothpaste provides additional benefits depending on the toothpaste you choose. Some benefits of using toothpaste with the Silver Care Toothbrush can be freshening of your breath and desensitizing your teeth. These items are NOT available for sale, and are ONLY available through the host package for October! What a great incentive to book and host a demo party this month! Micro-Maid is a safe, natural, effective cleaner in a bottle that cleans where typical cleaning products are unsuccessful. Lightly spray Micro-Maid directly onto any fabric surface. This unique combo of enzymes breakdown and eliminate the source of the odor or stain. It is ready to use without mixing or waiting time. Just a light spray and you are on your way to a fresher home. Use as a fabric refresher on upholstery, drapes, pillows, cushions, mattresses or stuffed toys. Safe for kids and pets – Micro-Maid makes Fall cleaning a breeze! At this time, Micro-Maid is an exclusive product offered to Hosts only and is not offered for sale. A: It is a proprietary blend of microbes and enzymes that deodorizes and eliminates organic residue in fabrics and upholstery. Q: How does this product differ from Odour Eliminator or Refresh? 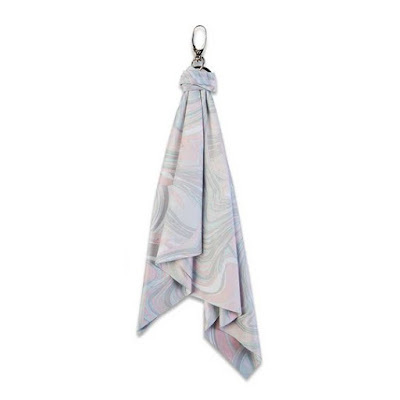 A: This product is designed to be sprayed onto fabrics speifically. Odour Eliminator must be diluted, is designed to overcome airborne odours and is great for garbage cans, lockers and changing rooms. Refresh neutralizes odours in the air. Q: How does this product differ from Mattress Cleaner? A: This product is similar to Mattress Cleaner, but has been formulated for all types of fabric items.